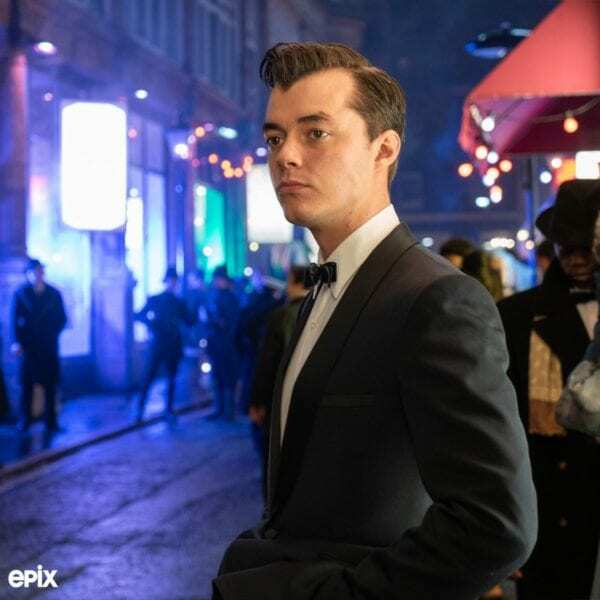 ‘Pennyworth’: First Look Reveals Jack Bannon As a Young Alfred!! Check It Out!! | Welcome to Moviz Ark! ‘Pennyworth’: First Look Reveals Jack Bannon As a Young Alfred!! Check It Out!! Taking place in the 1960s, Pennyworth will see Alfred, Thomas Wayne and two of Alfred’s closest friends, Trinidadian Marcus “Bazza” Barrington and Scotsman Wallace “Dave Boy” MacDuff, take on the villainous Raven Society, led by the mysterious Lord Hardwood and his sadistic henchwoman, Bet Sykes. Pennyworth sees Jack Bannon (The Imitation Game) stars in the title role as young Alfred alongside Ben Aldridge (Fleabag) as Thomas Wayne, Ryan Fletcher (Outlander) and Hainsley Lloyd Bennett (Casualty) as Alfred’s military buddies Dave Boy and Bazza, Jason Flemyng (The League of Extraordinary Gentlemen, X-Men: First Class) as Lord Hardwood, Paloma Faith (Youth) as Bet Sykes, and Polly Walker (Rome) as Peggy Sykes. ← ‘The Irishman’: The Entire First Half of Scorsese’s Film Features De-Aged Versions of the Cast! !